We made it to the lodge, we had snow up to the knee nut we are now safe. 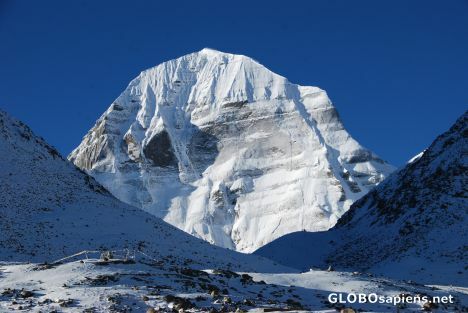 View of the north face of Kailsah (6714m): it is the most beautiful. Isabelle,I'm sure Petra's desktop is waiting! You are right, Fred, how did you know that???? c'est magnifique Isabelle! breathtaking pic! in every senses! Well done Isabelle, the clarity of the sky and the peak are amazing!. I wish I was there right now....wait a minute. It's cold there, right?